Let’s work together! For gender equality. 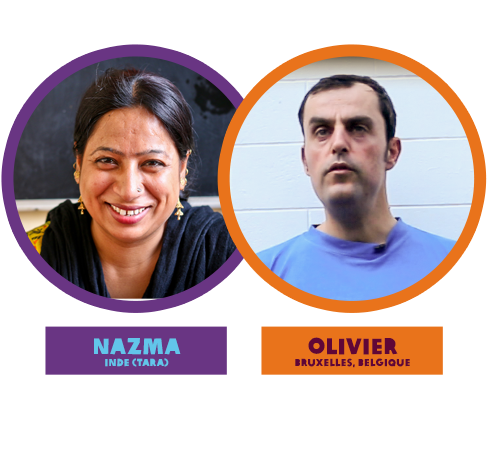 In Belgium, India and Bangladesh, hundreds of men and women are going to use make-up in defence of gender equality. They don't know each other, they have never even met. And yet something unites them. 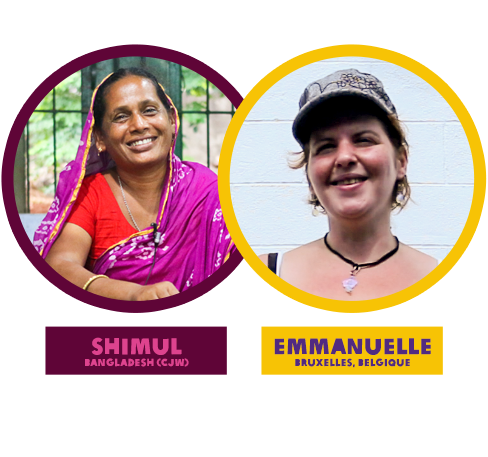 This link is Fair Trade and the changes, like women's emancipation, that it brings. 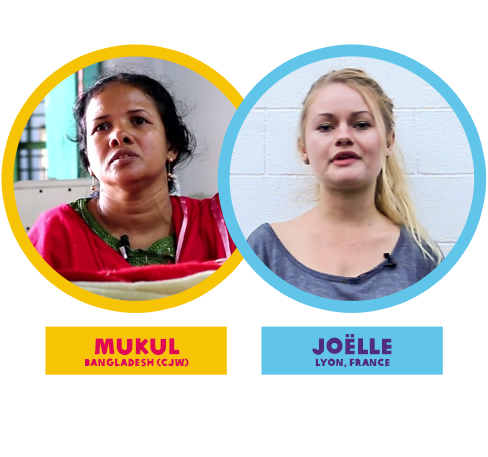 Discover the video testimonies of these citizens who are each fighting for gender equality in their own way. 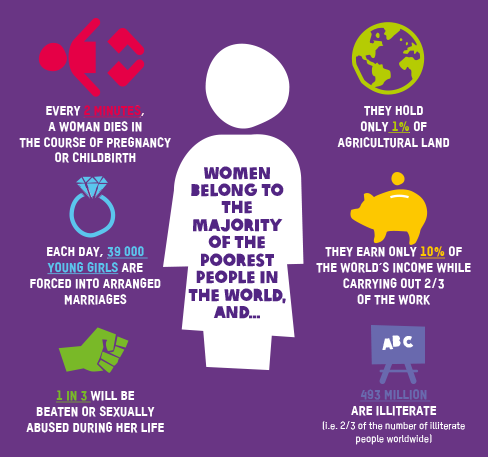 Everywhere in the world, women are victims of inequality. They are poorer than men even though they often work more than them. For Oxfam-Magasins du monde as well for its partner producers in the South, this question is crucial. 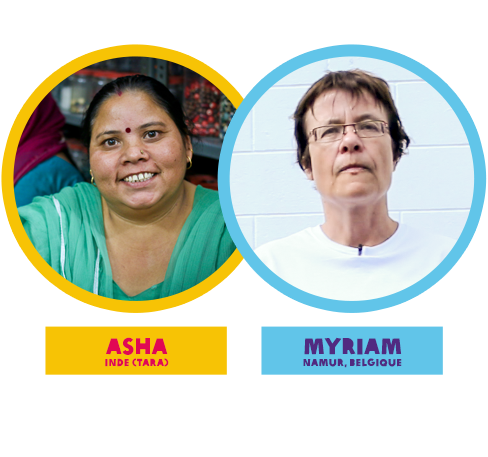 We all think that the principles of decent work and Fair Trade can give women more independence and freedom. This is what drives us to conduct this campaign together. Gender inequalities are not inevitable. 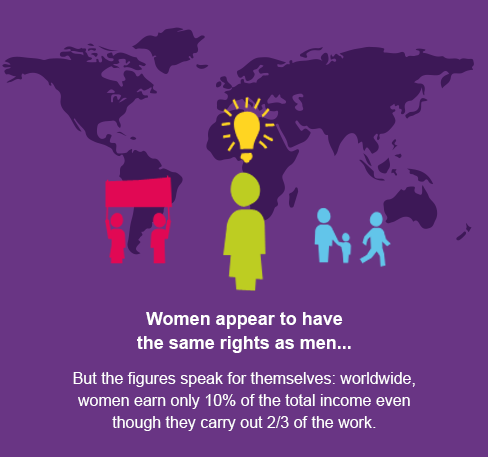 We can all contribute to a world where women have the same chances as men to work, to be assertive and make decisions. This campaign aims to bring together citizens of different countries who want to fight together for this same dream. 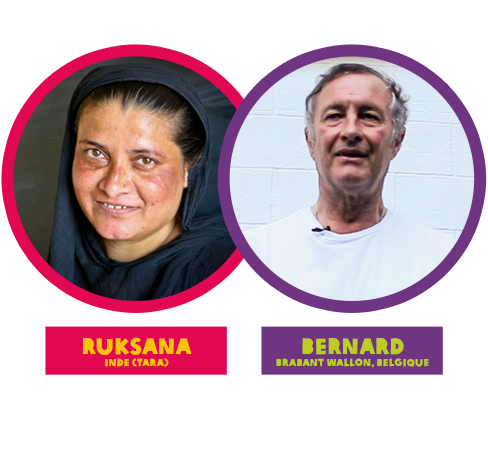 This campaign will take place simultaneously in all three countries (as well as others)! Our wish is to go beyond the simple commercial relationships which connect us in order to work together towards a change in attitudes. Tara works with the populations that are most marginalised, such as women and children from shanty towns. 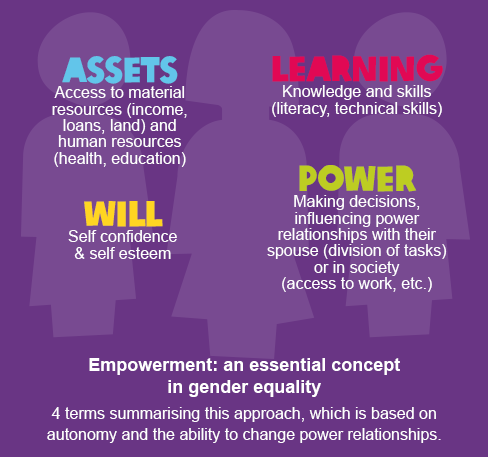 Thanks to programmes of empowerment, women are leaving the house, earning money, gaining self- confidence and making decisions. 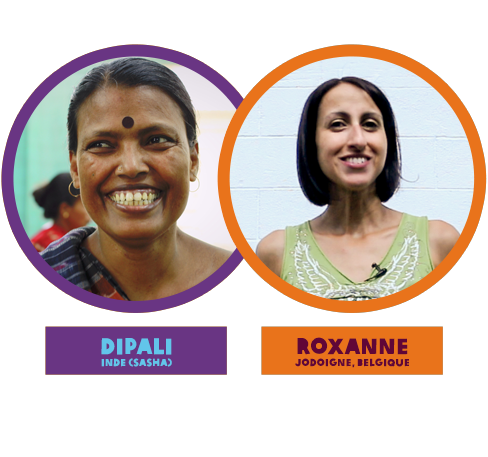 Being able to unite with other women and receive recognition for the work accomplished can change Indian society, which is still very patriarchal. This organisation encourages women producers to participate more actively in the running of the company and to undertake training (in hygiene, family planning, resource-management). It supports other complementary activities like family farming projects. Corr-the Jute Works is very active in raising awareness and considers Fair Trade to be a lever for change in society. Sasha brings together more than 5000 craftspeople, of which more than 70% are women. Different programmes aim to raise their awareness of their rights, to fight against under-age marriage, to defend the position of women within Indian society. Sasha equally attaches a great importance to training, strengthening skills and to the involvement of women in the life of the organisation. 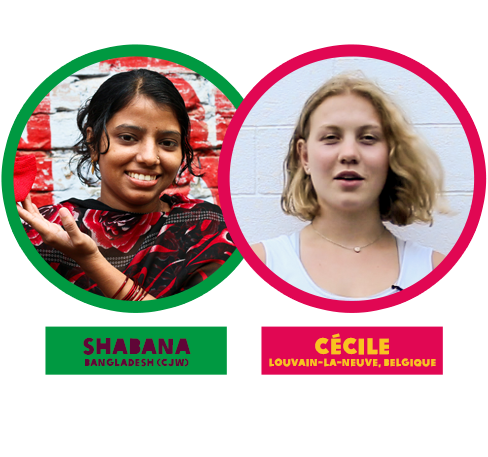 Above and beyond the commercial aspect (Fair tTrade shops everywhere in French-speaking Belgium), Oxfam gathers together teenage and adult volunteers and conducts campaigns with them. 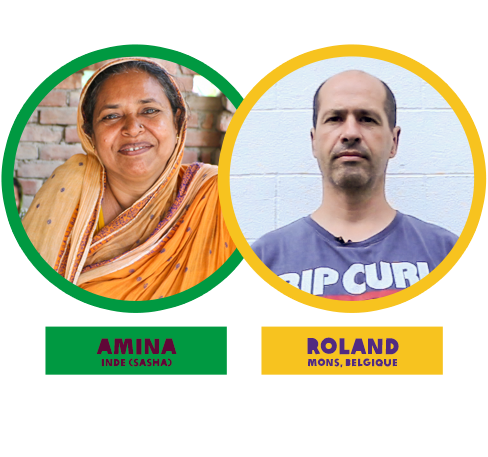 We denounce unfair practices: we propose fair alternatives that show solidarity with producers, we train citizens to think critically and be responsible, we mobilise citizens to question political and economic decision-makers. To fight against gender inequalities it is essential to fight against sexist stereotypes, and to do this from the earliest age. In spite of certain advances, a lot remains to be done in order for girls to have the same opportunities as boys. The opportunities of following the studies of their choice, of being able to choose their career, and of finding a quality job! 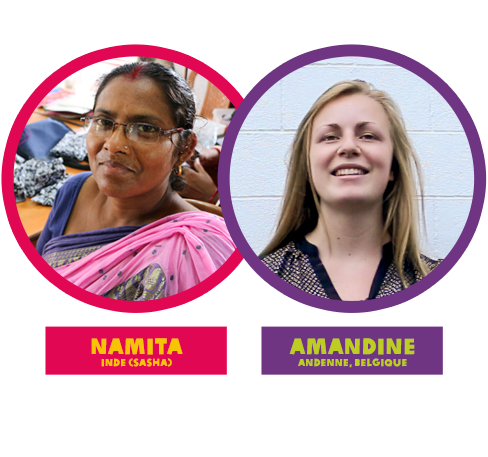 In choosing Fair Trade, you have a 100% chance of contributing to the fight against gender inequality. In Belgium, India and Bangladesh, as well as other countries, hundreds of men and women are going to use make-up to support gender equality. 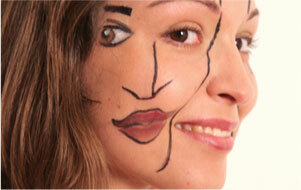 You too can join the fight by making-up your face or your hand. 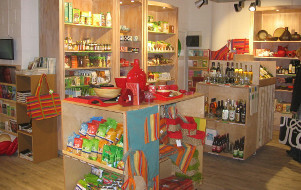 Oxfam-Magasins du monde is part of Oxfam-in-Belgium, an affiliate of the confederation Oxfam International.